When your children are growing up, you buy them stuffed animals, blocks, baby books, and other toys that keep them busy. But these toys do so much more than just keep them entertained. However old you child is, having an item in their hand can help with various aspects of development, from hand-eye coordination to learning space and distance. But there are several benefits to play, and there are even different types of play that will help your son or daughter grow and learn. At Home Away From Home in the North Miami area, we are passionate about providing a daycare center that focuses on learning and development. 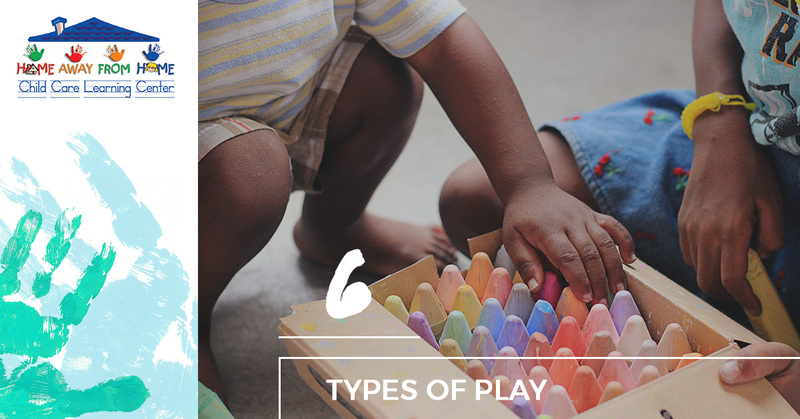 Here are some of the types of play that we make sure your child experiences throughout their day. 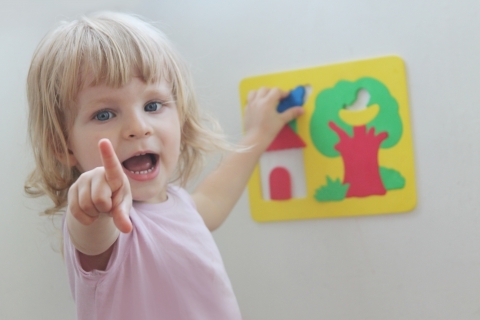 Infants have their own way of playing, even if they aren’t playing with toys. Your baby plays by wiggling, twisting, bending their fingers, touching their toes, and other motions where they get to know their body. You can also use a stuffed animal or an infant-friendly rattle that will keep him or her moving and his mind focused. As the name suggests, this type of play is when they are sitting quietly in the corner reading a book, playing with their favorite toy, or using their imagination. Independent play is a great opportunity for them to begin learning their own play preferences and to grow that imagination muscle that will help them significantly as they grow. Tapping into the social muscle is another benefit of play. 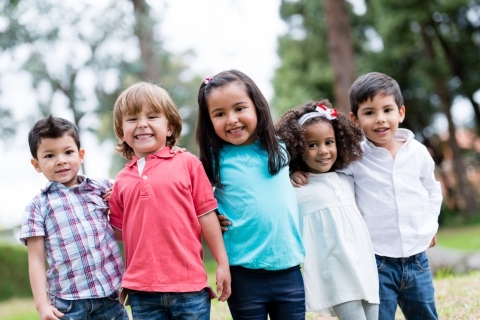 Even though onlooker play is another type that is still fairly independent, this gives children a chance to obverse their fellow daycare center students and how they interact with each other. This is another play step that continues to improve their social skills. Parallel play is when your child is playing with similar toys as another child, but is doing so next to other children, rather than with other children. They may also mimic other children. If the teachers at Home Away From Home recognize this type of play, we encourage them to share the toys — another great learning opportunity. At three of four years of age, your children will become associate play, which is where they are playing in the same space, with different activities or toys, but they are engaged with each other. This helps to improve socialization, cooperation, reasoning skills, and problem-solving. You’ll hear them ask questions like How, What, and Why. As you can imagine, this is where children are playing together, whether it’s a sport, putting on a play, or working together on a project at our daycare center. This type of play encourages communication and can establish a strong foundation of social skills. Whatever stage your child is at, we are proud to help them learn and grow. Home Away From Home childcare center has seven locations north of Miami and our priority is to help your children learn to love the school environment. We have a variety of programs for various ages that will set your child up for success. Learn more about our childcare curriculum and call us today to schedule a tour!